It’s been almost two weeks since my review of Part Two of this series. I’ve been wanting to get to it, but frankly, I just haven’t had the time up until now. This is the shortest of Rabbi Resnik’s lectures at twenty-nine minutes and it sounds like he delivered it right after session two. In the previous session. R. Resnik related a joke told by Rabbi Jonathan Sacks that the Bible was a record of “failures, contradictions, and shortcomings.” Setting the joke aside, R. Sacks also speaks of the Bible’s overarching themes as Creation, Revelation, and Redemption, and it’s these three themes that are the backbone of session three. Resnik said that Creation is God’s relationship with the universe. Revelation is God’s relationship with humanity. And Redemption is what happens when you apply Revelation to Creation. This is somewhat mapped out in the siddur, according to Resnik, because there are two blessings said before the Shema and one afterward. The first two are blessing God as Creator of light and blessing He who has chosen His people Israel. Creation and Revelation. The blessing after the Shema is blessing God as Israel’s redeemer. Revelation also points to Sinai where God revealed Himself, but the ultimate background or stage upon which revelation occurs is the Land of Israel. It is in the Land that God reveals Himself to the Jewish people, and it is through Israel that God reveals Himself to the nations. Israel’s (that is, the Jewish people’s) possession of the Land is part of facilitating God’s revelation to humanity across the globe. There’s a lot of political debate about the Jewish right to the Land of Israel but what about her responsibilities? Resnik laid out a number of examples revealing that Israel’s ethical and moral behavior were the responsibilities that determined if they lived in the Land or went into exile. For instance, the Fifth Commandment ties living in the Land to how parents are honored. This is the section of Leviticus describing the Moadim or “God’s Appointed Times”, but this mitzvah appeared earlier. Resnik says Leviticus 19 addresses the Laws of Holiness while Leviticus 23 speaks of the Laws of the Moadim. He believes that these two occurrences provide linkage between ritual and ethical practices. He states that Israel cannot truly celebrate the festival of Shavuot (any festival, actually) as a unique Jewish heritage if it ignores the universal, moral dimensions contained within the festival. Shavuot is called the Festival of Revelation, which makes sense. It is a celebration of the giving of the Torah at Sinai. But in citing the Laws of Gleaning, it also reveals God’s compassion to the poor and to the ger (stranger). This is part of the ethic of possession, the responsibility to not ignore the disadvantaged among you. But why are there strangers in the Land living among the Israelites? Was Israel not expected to exterminate the people living in the Land and displace them? The problem isn’t that the people living in Canaan were Gentiles, the problem was that they had racked up 400 years of sin and iniquity. Resnik says that the Torah doesn’t preach racism and ethnocentrism. The Torah doesn’t have a problem with Gentiles. In fact, Israel was chosen, not because they were the strongest or the best, but because they too had been strangers and out of God’s abundant love for Abraham. God gave the Israelites possession of the Land according to His promise and to facilitate His revelation to the nations of the world. Leviticus 25:23-24 is God’s declaration that the Land of Israel really belongs to Him, but He has given the Jewish people stewardship over the Land. 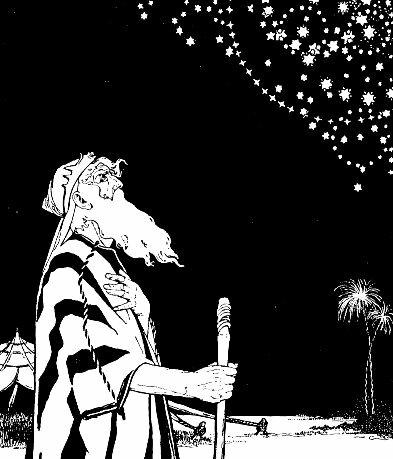 Periodically, someone points this verse out to me indicating that the Moadim are not “Jewish” festivals, but the Lord’s festivals as a way to say that anyone has the right to observe the festivals, and that the Jewish people are not uniquely associated with them. The relationship Israel has to the Land is the same relationship it has to the festivals. Yes, it all belongs to Hashem, but He has given Israel the Land and the Festivals to use to proclaim the revelation of God to the nations of the world. It all flows from God through Israel and then to the rest of us. We cannot eliminate or disconnect Israel from God’s revelation or redemptive plan because it is only through Israel and her Messiah that the rest of the people of the nations of the Earth can also be redeemed. 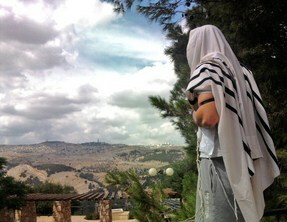 Because of Israel’s “chosenness” and her unique role and relationship with God, some non-Jews have accused the Jewish people, especially Jews in the Messianic Jewish movement, of elitism and even racism. But Resnik says that Israel’s election and possession (of the Land) are for God’s purposes, not Israel’s. Believers in Messiah aren’t elite, they’re marginal. They/we stand at the margins of the world, not being sucked into its values, as prophetic witnesses. The Ethic of Possession looks forward into the future to the Messianic Age. Traditionally, the Torah commands that all people in the Land of Israel, from the least to the greatest, from the pauper and stranger to the King, all celebrate the moadim with overwhelming joy. Why? Because it’s a portrait of the coming Messianic Age when there will be no poor and no strangers; when everyone will have a place and a role in the Kingdom through Messiah. 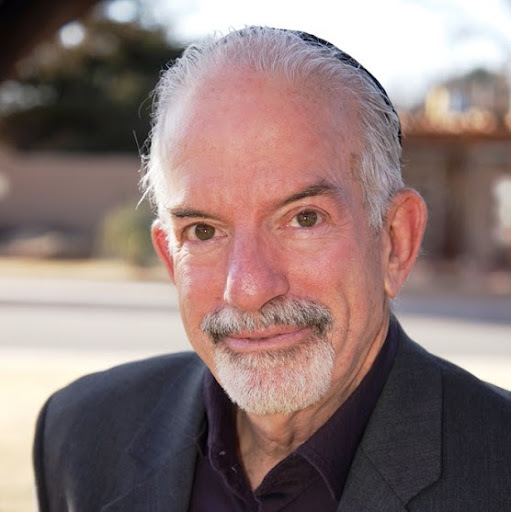 Rabbi Resnik was measured and considerate, not only in this session but in all three, in pointing out the relationship Israel has with God and their responsibility to the rest of the world. This has profound implications on the role of Jews and Gentiles in the Messianic movement as prophetic witnesses standing on the margins of the world, summoning the future age of prosperity and peace under King Messiah. Resnik chose not to emphasize the ceremonial or ritual distinctions between Jews and Gentiles and focused instead on Israel’s responsibilities to the Gentiles. Granted, this was all in grand and sweeping generalizations and none of this is going to answer questions like “should a Gentile wear a tallit when praying”. The universal moral imperative of the Ethic of Possession requires that in their practice including celebrating the Moadim, the Jewish people make provision for the “disadvantaged” of the world as the world lives among them; the poor and the stranger, which Resnik seems to use as a synonym for non-Jews. So, in a sense, Israel is “advantaged” because the Jewish people are the possessors of the covenants and the chosen of Hashem. Since Gentiles have no direct connection to the Sinai and New Covenants and our linkage to any of the blessings promised by God is only through a single part of God’s covenant with Abraham, I guess you could say we are “disadvantaged” in that we are dependent on Israel fulfilling her responsibilities to God and to us. …not that it’s possible to undo anything God does, we only attempt it by creating theologies and doctrines that spin the illusion that Jesus and salvation are completely separate from God’s covenantal relationship with Israel and the Ethics of Sinai. After a rocky start in Session One, I find I’ve thoroughly enjoyed Rabbi Resnik’s presentation. It’s a pleasure to add another perspective on the issues with which we all struggle as people of faith, expanding my knowledge and understanding, not only of God and the Jewish people, but of who I am as a Gentile of the nations in the reality of Messiah.